RAPAPORT... Diamcor Mining will put an additional 5,336 carats of rough recovered from its Krone-Endora at Venetia project on sale in November. The stones are in addition to the 2,607 carats from regular processing the miner reported in September, it said Tuesday. The company recovered the extra rough while completing planned refinements to the asset’s screening systems. Of the supplementary stones, 2,277 carats have already been sold at tender, at an average price of $190 per carat, for a total of $431,701. The remaining 3,058 carats will be sold at the company’s next tender later this month. Previously Diamcor had only been processing material up to 15 millimeters, and stockpiling the remainder, it said. 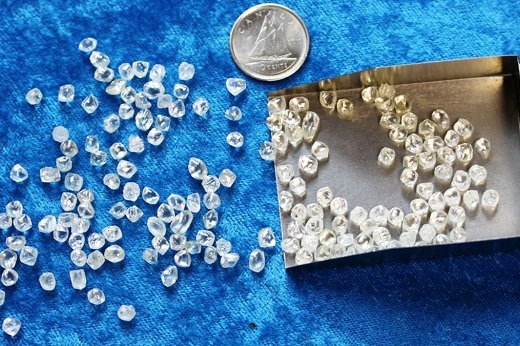 The miner will now reprocess its stockpiles up to 40 millimeters, which it believes will provide large diamonds under 10.8 carats that it missed during initial processing. Diamcor plans to hold one more tender this year, which will take place in December.